Bookkeepers may need to use the Edit Fee function to adjust fines. 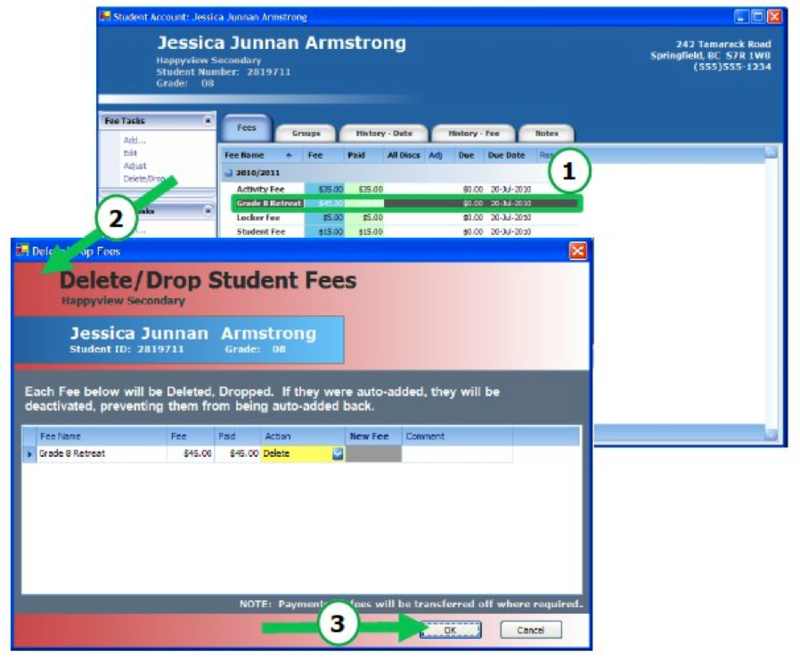 The function can also be used if a user would like to zero out a fee but leave the line item on the primary student screen. Using the tabs, select the specific Fee to Edit. Click the Edit menu item from the side bar menu to open the ‘Edit Student Fees’ window. Change the amount of the Fee.